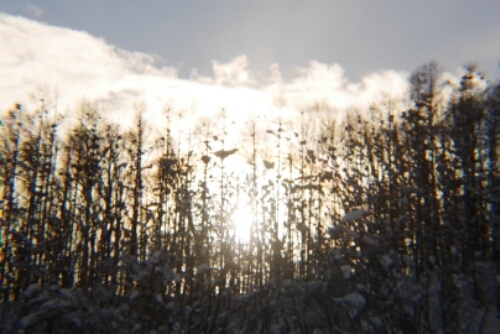 All through our stay here it’s been cold, windy and snowing, today the sun finally came out. 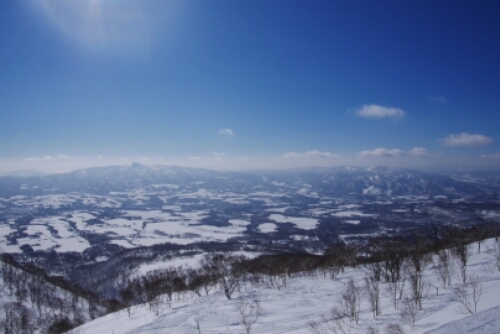 Because of the strong wind last night however, the snow wasn’t as good as previous days. All the same I had a very good day, and it was nice to actually see where I was going. Thus concludes our week of skiing, except for some slightly adverse weather, both Renegade Wife and I have both had a great time. 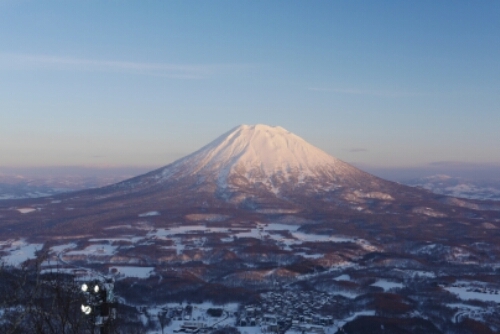 The resort actually consists of three separate areas, Annupuri, Niseko Village, and Hirafu – Hanazono. 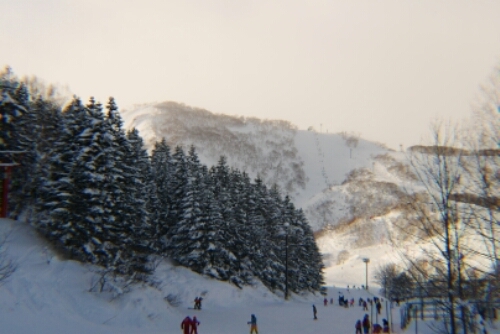 Hirafu is the biggest and most popular part of the system with more slopes and lifts than any of the other. At the bottom there is an actual small town with plenty of hotels, shops and restaurants. 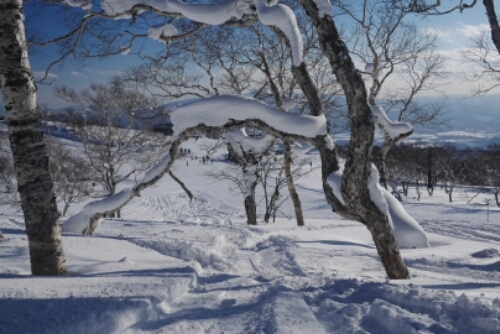 Hanazono is a smaller area directly attached to Hirafu, it has a few rather gentle slopes and a large playing area at the bottom which makes suitable for beginners. 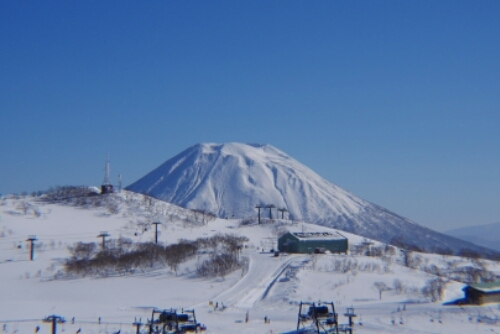 Niseko Village is a fairly small system but has several good slopes. Despite what the name indicates, there doesn’t seem to be any village, just a large luxury hotel. 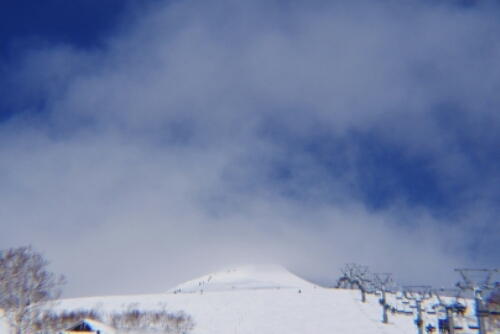 Annupuri is a bit further away than the other systems, the bottom half has some slope that are good for beginners and higher up the mountain are several runs suitable for intermediate and advanced skiers. Most people here arrive by shuttle bus from the various hotels in the area. 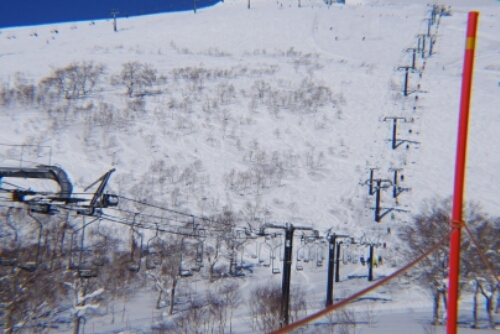 It is technically possible to ski between the different systems, but the only connection point is at the top of the mountain where it is generally too steep for inexperienced people. 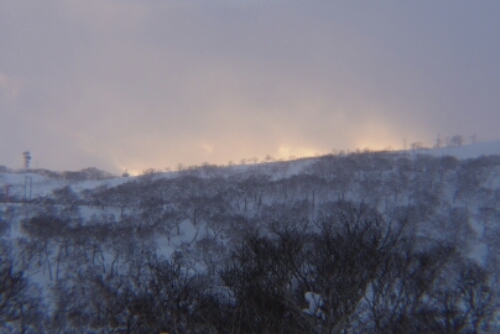 This part of the mountain is also susceptible to bad weather so important lifts might be closed. 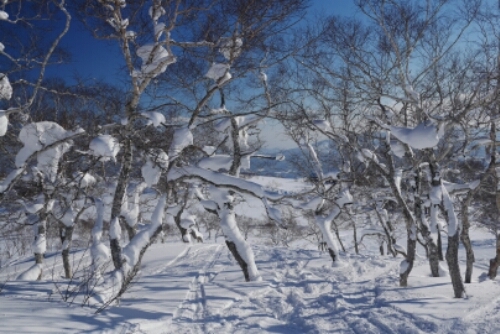 This happened to me the other day on my way back to Annupuri, I ended up hiking about 200 meters upwards in knee deep snow because I had promised my wife to join her for lunch. 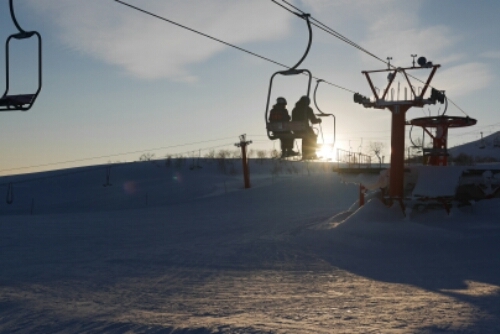 Note that in Japan they generally dislike people going out of bounds and they usually confiscate lift passes of the people who do. 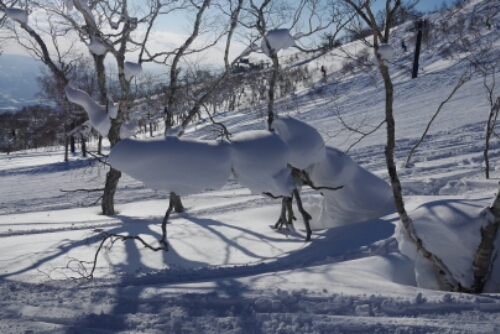 Here in Niseko they have set up a system of gates, that allow you to go out into the offpist. 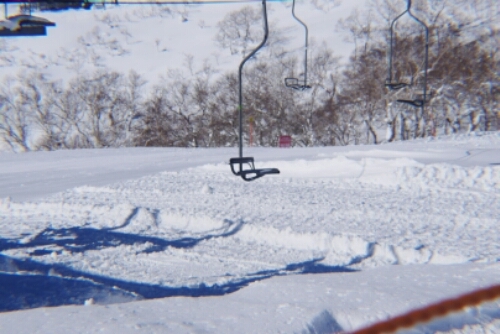 If you do, you are on your own, there is no ski patrol to come to the rescue. Passing the barrier ropes at any other point than the gates, or passing a closed gate will incur a penalty. Lastly, I’ve found that if you, like me and Yini, don’t go skiing that often you can of course rent skis/ snowboard, board and helmet at the resort, and you can put together some decent ski clothes from things you have already. It is however well worth the money to invest in a good pair of gloves and some quality goggles. Finally some pictures: Normally you have ample opportunity to take good photos in a ski resort, what with the photogenic landscape, but because of the constant it’s been hard this time. In the few moments of clear skies I only managed to get three halfway decent shots. Since the sun has been out today, I got considerably more, I end the post with a few of those. …the chairs are extremely small without any safety features.